As a non-profit organization dedicated to nurturing and promoting public art in Hong Kong, PAHK aims to provide a platform for local artists to engage their art with the community. Inspired by the advent of the Beijing 2008 Olympic Games, Francis Yu and Jaffa Lam, both artists and art educators in their own rights, jointly created the installation artwork Hooves on the Move to embrace the Olympic spirit. 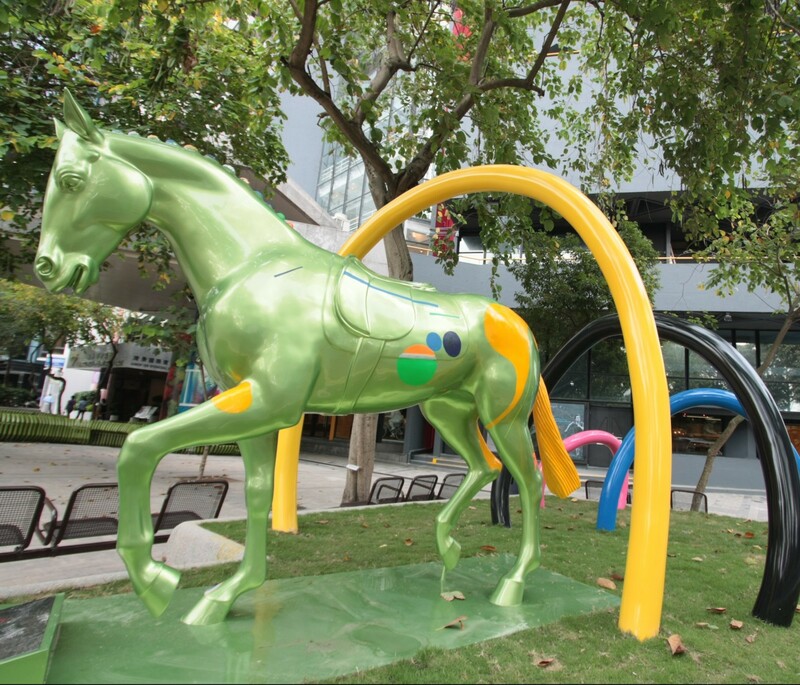 PAHK proudly presents this thoughtful creation to imbue the public with a vibrant spirit in celebration of Hong Kong’s privilege to co-host the equestrian events of the Beijing Olympics. Special thanks to the Hong Kong Jockey Club for the loan of a horse sculpture-model.